Peter Gibbs and the panel of gardening experts are in Braintree, Essex. Christine Walkden, Matthew Wilson and Matt Biggs answer the audience's questions. 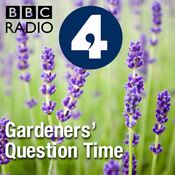 The panellists discuss the best shrubs to plant in heavy clay, getting rid of plum tree suckers and combining a flower bed and a vegetable patch. Pippa Greenwood is in Alice Holt Forest with Bruce Rothnie to find out more about the history of the forest commission. 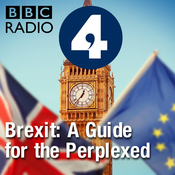 Produced by Hannah Newton Assistant Producer: Laurence Bassett A Somethin’ Else production for BBC Radio 4. Eric Robson and the horticultural panel visit the Ulster Folk and Transport Museum near Belfast. Bob Flowerdew, Bunny Guinness and Matthew Wilson answer the questions from the audience. This week, the panel offers advice on the prevention of onion rot after harvest and sweetcorn varieties for the best crop, and suggest the best flowers to plant in a cutting garden. Also, Neil Porteous discovers plants to maximise autumn colour in your garden. 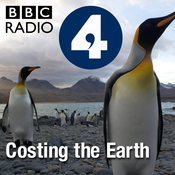 Produced by Darby Dorras Assistant Producer: Laurence Bassett A Somethin' Else production for BBC Radio 4.